27. 01. 2019 13:23 16 (8 - Tänak Ott / Järveoja Martin): This morning I managed to reclaim the podium and after that it was just about remaining in this position. It was a good weekend except for one thing that we couldn't control. 27. 01. 2019 11:55 15 (8 - Tänak Ott / Järveoja Martin): I don't know really how it went this one, but I must say the car balance was better and I had a good clean run. Maybe not pushing so hard, but I had a good rhythm. 27. 01. 2019 11:51 14 (8 - Tänak Ott / Järveoja Martin): We try to improve the car a bit from the previous stage, but at the beginning it was a bit worse. Now we have some time to discuss it. 27. 01. 2019 11:48 13 (8 - Tänak Ott / Järveoja Martin): It has been a long time driving on asphalt and it was quite slippery with the salt in places. I had a clean run, nothing special, but a clean run. I am doing my best to get third, but I am not going crazy. 26. 01. 2019 14:54 12 (8 - Tänak Ott / Järveoja Martin): There is no difference, none of the tyres have studs any more! It is not a big risk, but if there had been snow or ice we could have lost 10 or 15 seconds, but there is no one behind us. 26. 01. 2019 14:03 11 (8 - Tänak Ott / Järveoja Martin): Some icy places, the tyre was okay but obviously they are very similar to the winter tyre - just without the studs. 26. 01. 2019 13:49 10 (8 - Tänak Ott / Järveoja Martin): For sure, we keep doing our best. The stage was generally okay but I had a fancy moment at the beginning where I hit the black ice, there is so much ice and it is quite slippery. 26. 01. 2019 13:38 9 (8 - Tänak Ott / Järveoja Martin): It's quite consistent, but still is changing a lot in places so it is quite hard to push. The target is just to do the best, there is a big gap in front. 25. 01. 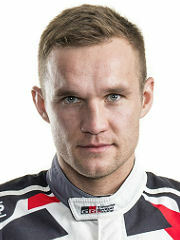 2019 20:31 8 (8 - Tänak Ott / Järveoja Martin): Monte is not really about the pace, it is about consistency. It has not really been our day today, but we still do everything we can. 25. 01. 2019 16:29 7 (8 - Tänak Ott / Järveoja Martin): Puncture. I don't know how it happened. 25. 01. 2019 14:57 6 (8 - Tänak Ott / Järveoja Martin): It is just tricky, but nothing wrong. The conditions aren't consistent. 25. 01. 2019 13:17 5 (8 - Tänak Ott / Järveoja Martin): It was a tricky stage. We destroyed our tyres on the previous stage and it is full of ice now. But it is okay. 25. 01. 2019 13:06 4 (8 - Tänak Ott / Järveoja Martin): Obviously, the previous stage was the main stage so for sure we don't have the optimal choice for this one. I think the next stage will be okay. 24. 01. 2019 21:01 2 (8 - Tänak Ott / Järveoja Martin): It was a clean run, no worries. 24. 01. 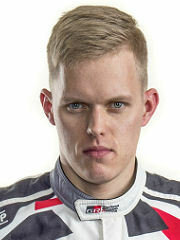 2019 20:34 1 (8 - Tänak Ott / Järveoja Martin): I don't know. I'm not sure it is anything special. It was such a tricky stage that a few seconds here or there is nothing.